Not only does the Academy feature a low and reasonable tuition rate, the Academy also pays for your textbooks and examination proctoring fees. This represents a savings of more than $2,000 over the course of your bachelor’s program, with similar savings for the master’s and doctoral programs. And, unlike most schools that have fees for virtually every service imaginable, the Academy has only one fee for each course – what you see is what you get. Financial Aid is also available for eligible students. All tuition, fees, and other charges are due upon registration. Registration is not complete until financial clearance is received indicating full payment.  The United States Sports Academy reserves the right to change tuition, fees, and other charges as deemed necessary, without prior notice. No student may register for any course until all Academy charges are satisfied. Refund of tuition, general fees, and technology fees for a student withdrawing from the Academy or a student who is dismissed or suspended is made in accordance with the current Refund Policy in place. All applications fees, enrollment fees, shipping fees, and special fees are non-refundable. It should be noted that this fee schedule is based on the requirements of the U.S. Department of Education in accordance with policies governing Title IV funds. The administrative fee charge is the lesser of $100 or 5% of the total paid.